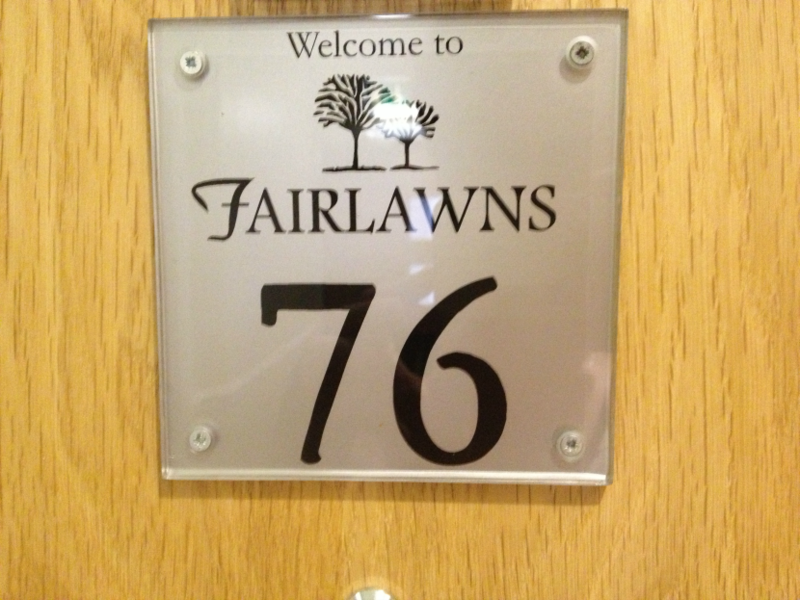 On Saturday afternoon I was treated to a lovely over-night stay at Fairlawns Hotel and Spa, Aldridge, West Midlands. 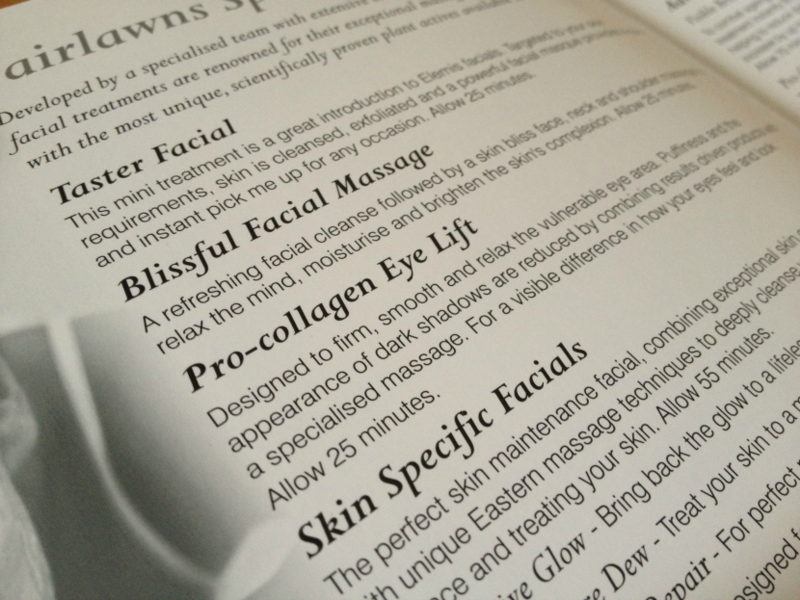 Everyone needs to get away from their usual routines every now and then so where better to get away to than a spa? Set within 10 miles of Birmingham and Walsall, the Fairlawns Hotel and Spa provides a small respite from the usual comings and goings of life. Along the main road, but set back from it down a short tree lined drive, there's an instant atmosphere of calm as soon as you pull up. There's ample free parking and in among the trees and shrubbery benches and seating can be found. The reception is fairly small, just a wide corridor between the function rooms and the restaurant. 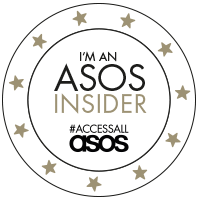 The greeting is warm and friendly and the checking in is easy - a few forms to fill in and a bank card to hand over just in case anything needs to be charged to the room. We were asked if we wanted to be taken to our room or whether we'd like our luggage carried for us but we declined both offers and made our way through a small maze of corridors and up several sets of stairs. Along the corridors were beautiful gold mirrors hanging on the walls with plush carpets in rich red and plum stripes. It felt really up-market and pleasant - like we were walking through the kind of boutique hotels you can find in Paris. We were staying overnight in a 'Standard Double' at the top of the building. The room itself was characterless and plain. It was simply magnolia walls with the one painting, pine furniture (including a dressing table with large mirror), sitting chairs and a small coffee table as well as a wardrobe. There was a wall-mounted Digital TV, ironing board and tea and coffee making facilities. So far so 'normal hotel room' - it reminded me of a Travelodge. It was nothing spectacular in my opinion and there wasn't any particular feeling of luxury. It was just, to be honest, bland. 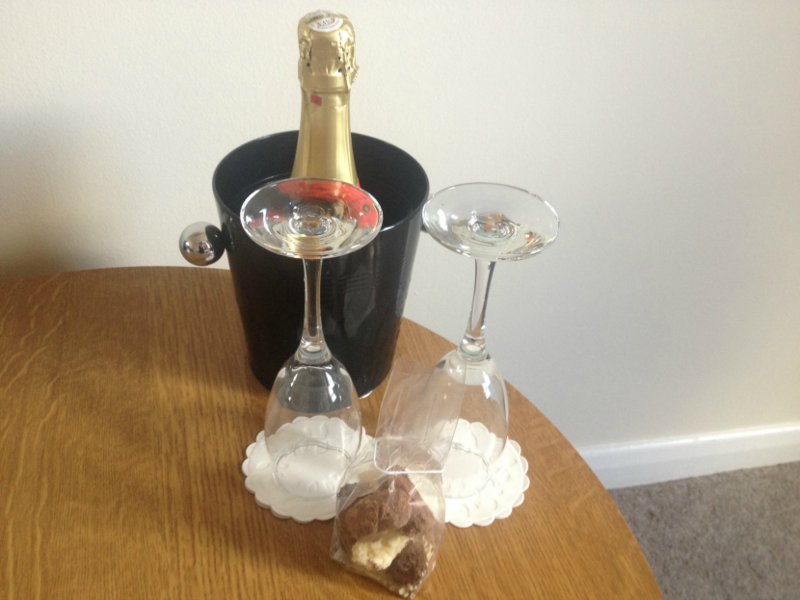 The inclusion of a half bottle of sparkling wine, waiting in an ice bucket, and six handmade chocolates was a lovely gesture though and we thoroughly enjoyed consuming them. The bed was very soft - I sat on it and sunk down half a foot - not great if you prefer your mattresses to be firm. The bathroom was spotless, with two large and two smaller towels as well as some complimentary toiletries, although I was very disappointed that there wasn't a bath tub. I was looking forward to there being a tub because we don't have one at home and I wanted to use my bath bomb. It was a simple shower instead, spacious enough though. We struggled to get the water to run warm, let alone hot. Neither Dave nor I could understand the dials and no matter what we tried it wasn't getting any hotter. It wasn't a power shower either - the pressure was mediocre at best. We headed down to the Spa area, which we had to walk across the terrace to get to as we weren't told about or made aware of a through-route from the hotel area. I didn't take pictures of this area because of the threat of getting my iPhone wet but also for the sake of other people's privacy. The reception in the Spa is bland with a small office/desk where the staff take reservations for the therapies and give out fluffy soft towels to users. 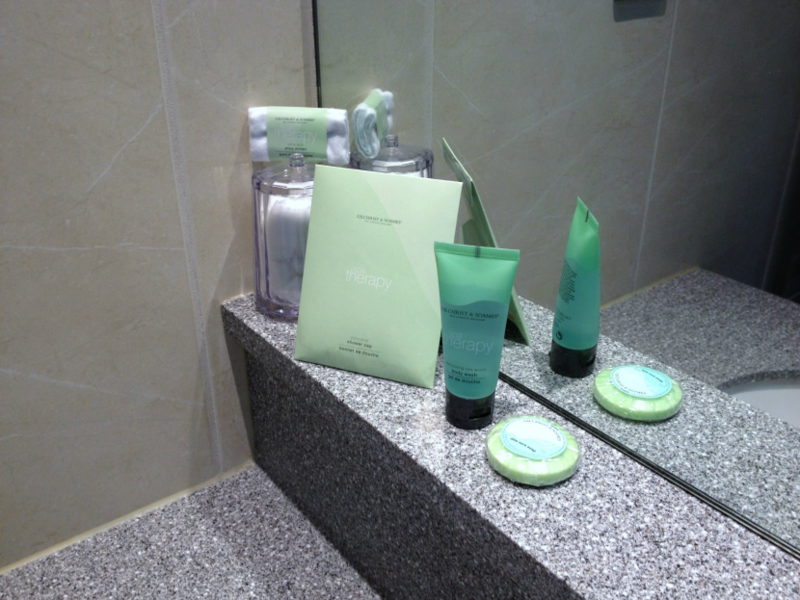 The women's locker room was clean and I was pleased to see Elemis were the brand of choice (if you've read this blog for a while you'll know how much I adore Elemis products). Even the hand wash over the sinks was Elemis (although I did find it strange that the Spa will use Elemis hand-wash/moisturiser duos in the locker rooms but the Hotel will use cheap alternatives in the bathrooms?). The 18m long pool (1.4m deep at every point) was colder than I expected it to be (although I haven't been swimming in a pool since I was last abroad so maybe that was just me remembering swimming in the sun) and the 'jacuzzi' area was bad - there were very few bubbles and it was the same temperature as the pool. The Hydrotherapy Suite, however, is fantastic. It contains two different steam rooms - one with aromatherapy scents (which is changed according to the seasons) and one with crystals - as well as a two different types of foot spas and a variety of different 'showers' which are amazing to step into after the 45C heat of the crystal steam room and the 40C of the aromatherapy one. I particularly enjoyed the 'Caribbean Rain' shower. The saunas are a short walk across a 'garden' (a few sun loungers on the grass) where there's three different types: Infra-red, Finnish and Aromatherapy. We only tried the Finnish Sauna (the hottest one available but also the smallest) as there seemed to be a lot of people in the aromatherapy one. I noticed that there was a lounge room available but no one in it. It seemed like a waste of space to me - it would have made an excellent second aromatherapy sauna (and a larger one too). I didn't have any of the spa treatments available - purely because I feel £50+ for two of us to have a 30 minute bath (no matter what was in the water) is extortionate and that's the only treatment I wanted to try. I did read all about the treatments and they sounded great, using Elemis products for their facials, but I felt that there was nothing 'signature' about the therapies available. They were the kind of therapies, apart from the 'baths', that you can easily find in other spas across the country or even at my local beautician's salon. 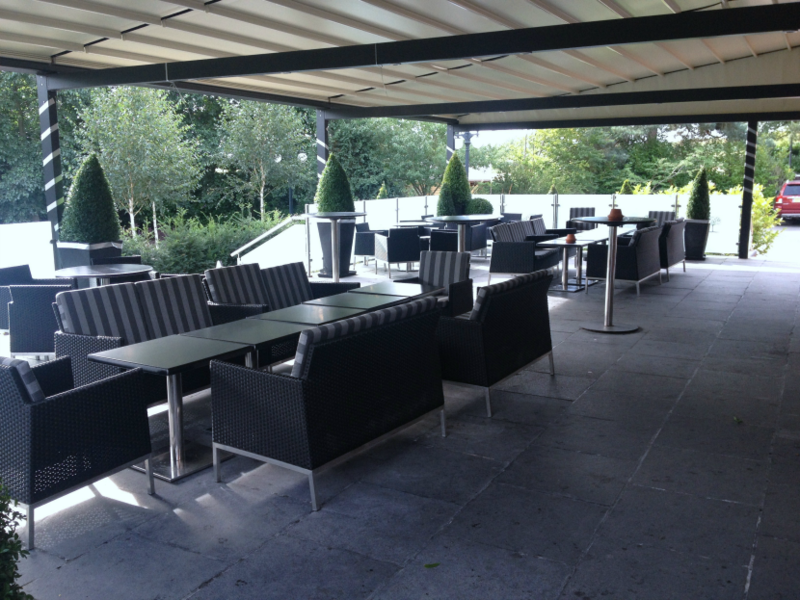 We were expected to be at the restaurant for 6:45pm (to eat for 7:15pm) so we made our way down to the bar area, relaxed on the terrace with a drink and ordered from the generous menu. The menu was excellent - a choice of starters, main courses and desserts to suit everyone's tastes. It stated that the staff were also happy to comply to any dietary requirements which is obviously great for allergies and intolerance sufferers. 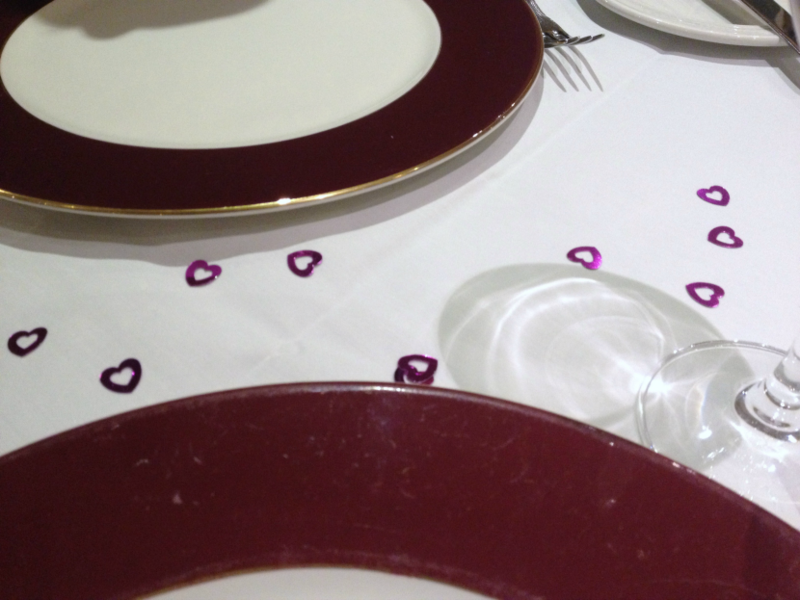 Our table was pre-set for the two of us with little love heart decorations to help with the 'romance' of the night. It was a lovely touch. The atmosphere was relaxed and welcoming with music playing quietly in the back ground and enough room between the tables to be able to hold a conversation in private without fearing being overheard. The staff were truly wonderful - absolutely nothing was too much of a chore for them. They served us brilliantly: being attentive and friendly but at the same time professional. The food was unbelievable - I can fully understand why the restaurant has won awards. 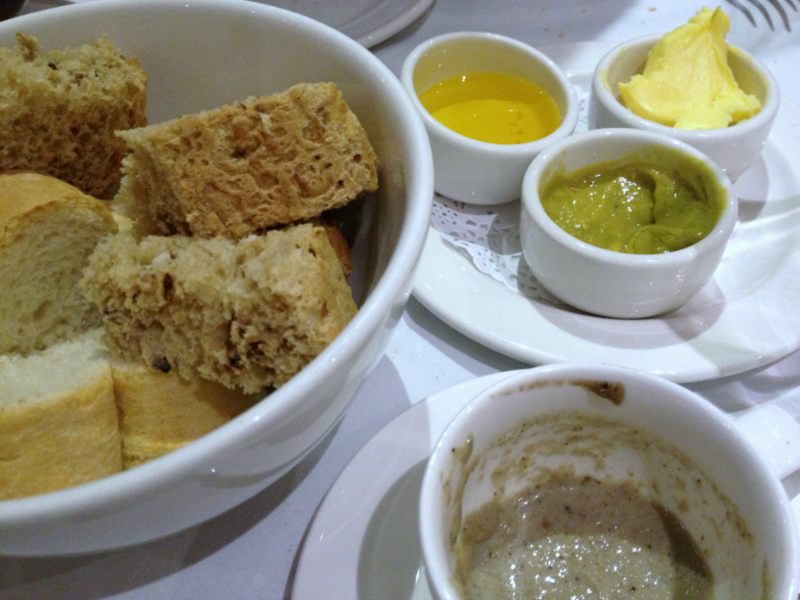 We were given a selection of breads with oil, butter and a dip before being presented with an Amuse Bouche: Mushroom Veloute. I enjoyed it immensely - it was delicious. 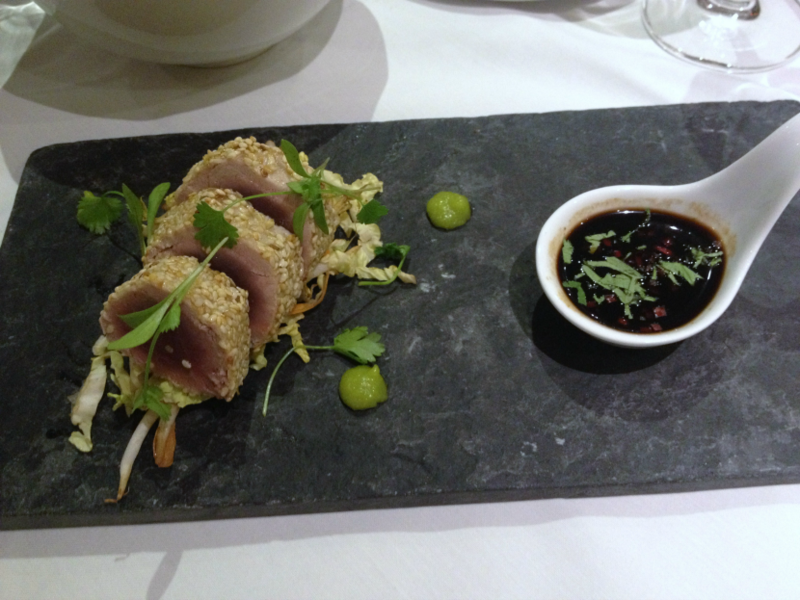 My starter was Seared Tuna with seasame seeds, a Thai bean sprout salad with wasabi and soy. The tuna was perfect although the Thai salad was a little unremarkable. The wasabi was incredibly powerful but pulled the whole dish together. 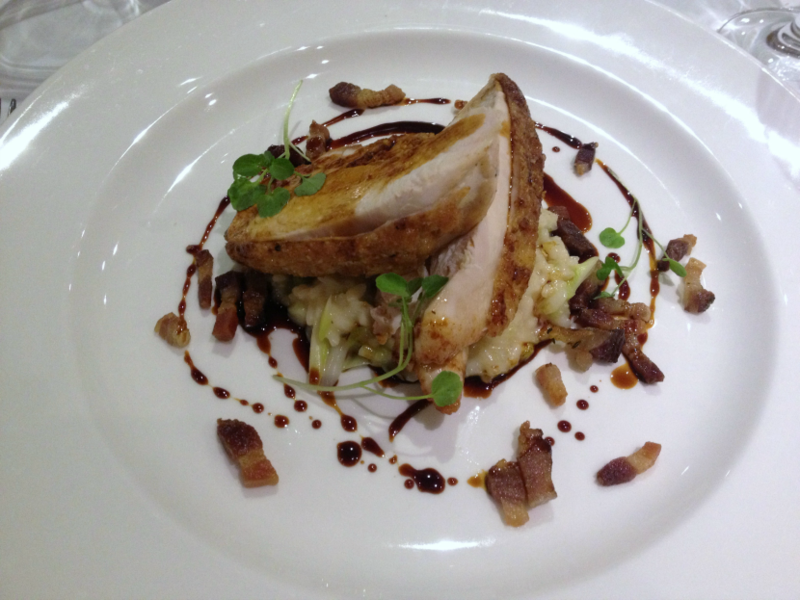 Following this my main course was the Chicken Breast with bacon on a bed of spring onion risotto with fresh vegetables. The chicken was moist, the risotto was soft and the vegetables tasted fresh. The whole course was really enjoyable, beautifully presented and very filling. Dessert left me a little ambivalent. 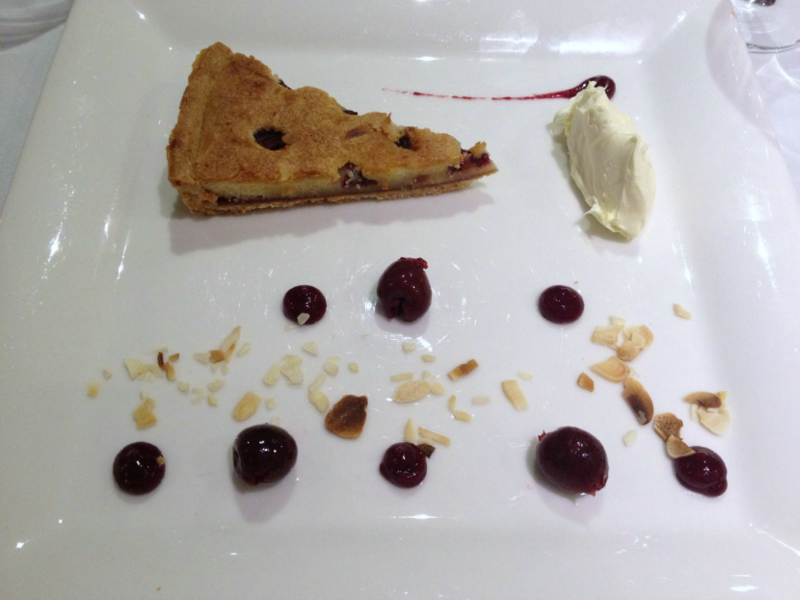 I chose to have the Black Cherry Bakewell Tart which came out cold - obviously straight from a fridge. It was also a little dry. Still, all in all, the savory food was fantastic - the best I've eaten in a long time - and I wouldn't hesitate to eat there again. Breakfast, after an undisturbed night's sleep, was served with a smile from the same staff that had bought us dinner the night before. There was a great selection of fresh juices with cereals and fruits to choose from and the cooked breakfast was tasty (although Dave complained to me it wasn't big enough). We check-outed easily and were soon on our way home again. We checked out early because of having to get back to the house to meet some of Dave's family but we could have waited until 11am to check out if we wanted to and then stayed on to use the spa facilities until 4pm. 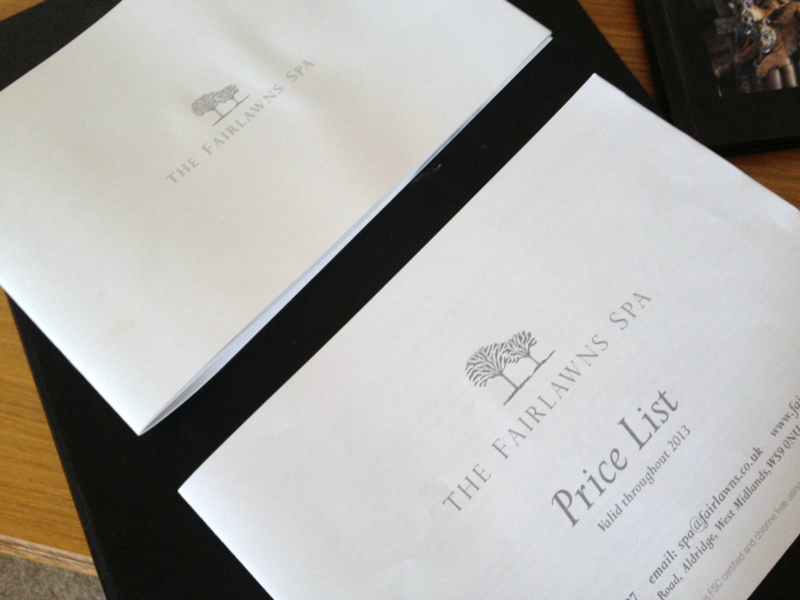 Would I recommend staying at Fairlawns Hotel and Spa? I wouldn't discourage it but I wouldn't jump in excitement either. 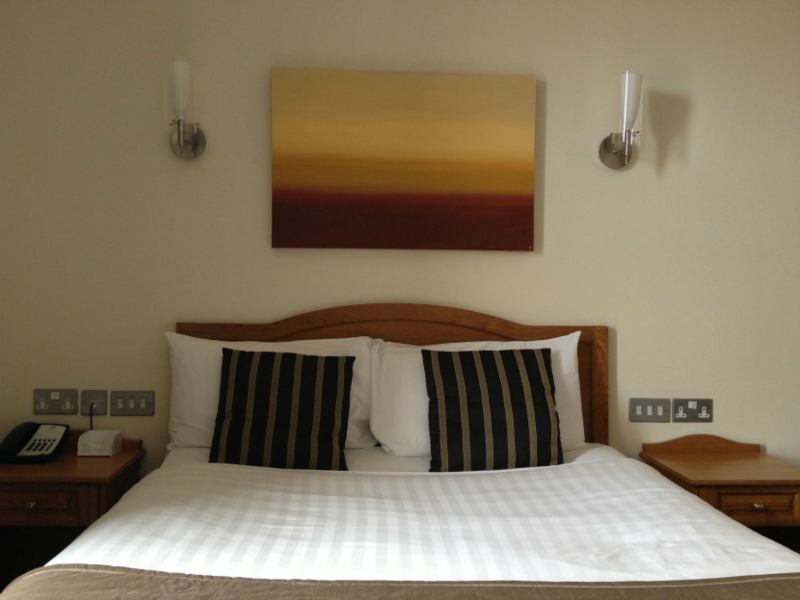 I enjoyed my stay; it was restful, the staff were fantastic and the food was exceptional. The room was clean and the hydrotherapy suite was blissful but I feel the place lacked sparkle. It needs something to make it stand out, to make me dream of going back. When I think of going to a Spa and staying over I expect a certain element of luxury that the room lacked. 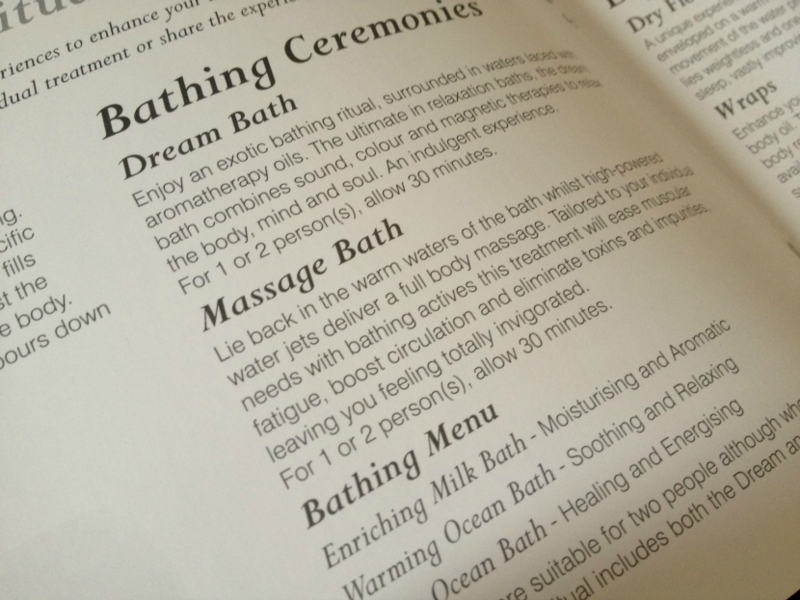 I also expect to see something different from the usual spa therapies available - something that I simply have to try - not just the things I can easily recreate at home with the same products or a bath tub. I think that the emphasis is very much on the restaurant and food and not the overall experience. It felt a little inconsistent - the corridors being more sumptuous than the actual bedrooms and the hydrotherapy suite being pampering whilst the rest just felt, for want of a better word, adequate. I would return if I ever have an opportunity, like I was given a voucher or someone booked it for me, but I don't think I would actively seek it out as a destination for the spa facilities by myself. I'm not sure on prices for staying over or the packages available because this was a treat for me and I didn't want to spoil it by getting into the finances, although from knowing that our bar tab came to just over £30 (for three large glasses of White Zinfandel and three pints of Kronenburg as well as a £6.00 supplement for Dave's 12oz Sirloin steak) it seems to be very reasonable. 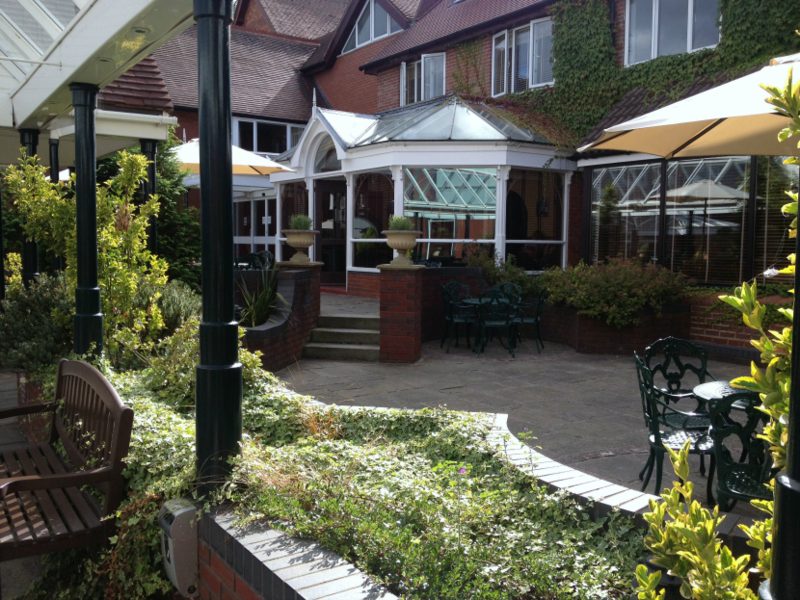 For more information on the Fairlawns Hotel and Spa, Aldridge, West Midlands take a look at the website.